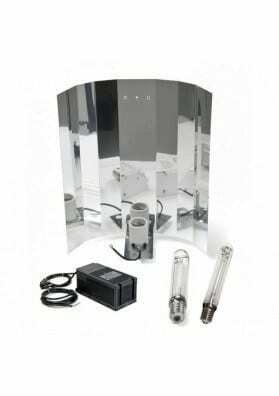 Growing kit with two 400W lamps. 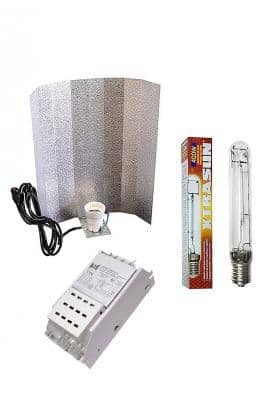 Choose your favorite brand of lights and combine it with other brands that this kit includes. - Safety Plug & Play (Ballast) ambivalent of 400W. - Two lamps, one for growth and another for flowering of 400W of power. 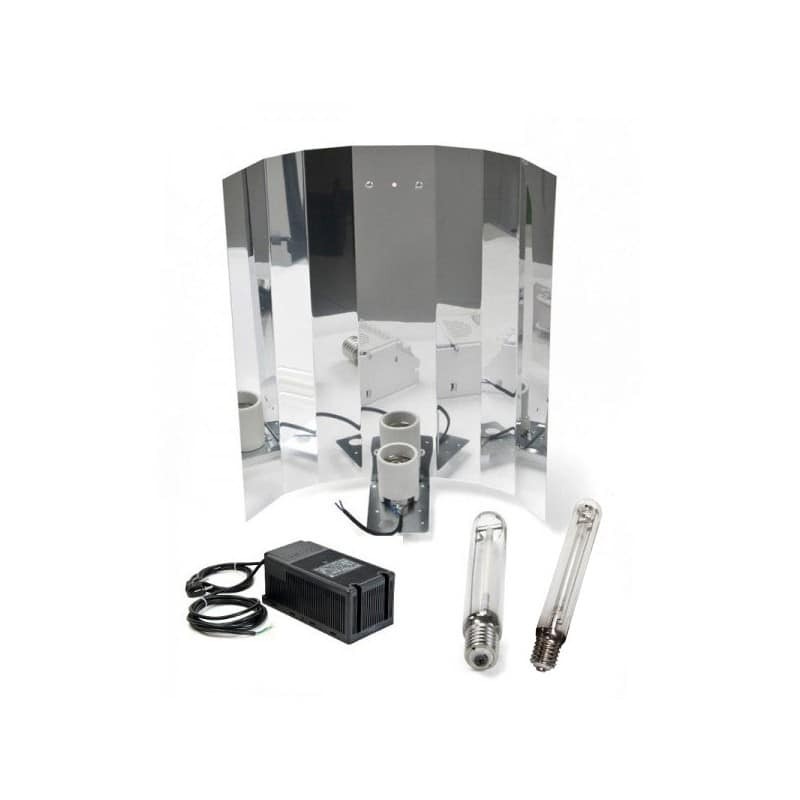 This growing kit is suitable for growth and flowering and is delivered as mounted as possible. However, and due to the transport mode, some connections must be made by the buyer. To choose the lamp brand like Agrolite, Sylvania and Philips, choose from the drop-down list. The price will be updated after doing the selection.